The ‘Cult of Busy’ has now infiltrated to our children, as primary school aged children are ‘working’ – either in school or scheduled activities - for up to 46 hours a week, nine hours more than the UK adult average of 37 hours1. 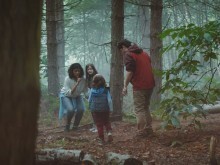 According to a new report2 issued today by child psychologist Dr Sam Wass and Center Parcs, well-meaning parents are over-timetabling their children as they estimate that their children have an average of just one hour and 29 minutes free on a week day. As a result, a Recommended Daily Allowance (RDA) for Free Time of three hours and 51 minutes, has been developed by child psychology expert Dr Sam Wass, from Channel 4’s ‘Secret Life of 4 and 5 Year -Olds’, commissioned by Center Parcs. The RDA, which was inspired by the government guidelines we use for fruit and vegetables, is based on three hours on a week day and six hours a day at the weekend, calculated using time needed for a variety of free-time activities which will allow children to use their imagination. According to this new figure, children currently have a free-time deficit of two hours and 22 minutes per day, which is created when they begin primary school and their days are filled with extra-curricular activities and scheduled events. “Many parents are desperate to do the right thing for their children - we shuttle them back and forth from school, to football, to an after-school club, and then get them home and sit and ensure they do their homework. On top of this is time spent on eating, bathing and travelling for school and activities. Parents reasons for signing their children up for clubs are clear, with 60% saying that they would feel they had failed their child if they didn’t give them the opportunity to try a club they’re interested in. Additionally, they want to give them the chance to excel at what they like (54%), to help with their socialisation (53%) and to further their learning (44%), showing that parents are simply aiming to help their children as much as possible. However, there is a danger of children burning out, as one in five (19%) have asked their parents not to go to a class because they are too tired to attend. The current state of affairs suggest that of the free time children do have available, their time is currently skewed heavily towards one of the activities: screen time. Recommending three hours 51 minutes a day, the RDA provides enough time for children to participate in a range of free-time activities which will allow them time to play, use their imagination an develop their thinking. “The figures might initially look high, causing you to think ‘this is too much to ask!’ but this recommended daily allowance is designed as a goal for parents and children to work to. We want to encourage parents to use this as an opportunity to assess their child’s scheduled time and supplement some of the extra-curricular clubs for some of these suggestions. It’s understandable that some days are busier than others and it just might not be possible to hit a perfect balance every day, but the key is for parents to try to encourage their children to do a variety of the free time suggestions, whenever they can free up time. 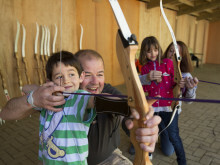 Colin Whaley, Marketing Director from Center Parcs said “This report shows that parents are really going above and beyond to do what they think is best for their child. As a parent myself, I was initially taken aback by the suggested recommended daily allowance, but it gave me food for thought about whether or not my own children currently achieve it. Clubs and sport play an important role for their development and life skills but creating a balance with some more simple time out together is clearly very important. 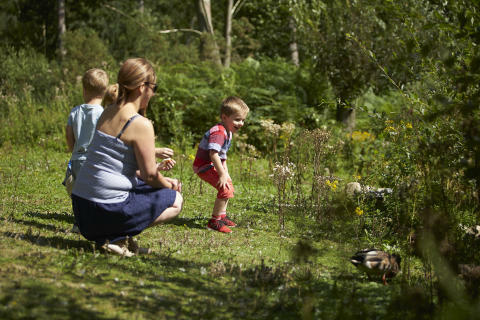 To help families across the UK discover if they are giving themselves enough free time, Center Parcs have created an online ‘Free Time Calculator’ where users can input the amount of time they spend on activities per day and the calculator can show how they stack up against the RDA. Every child is interested in something. All you need to do is to support them, and provide what they need to help them develop their interests. And it helps if you can get them interested in what you’re interested in. It can be hard to switch off the button in your head saying ‘I’m in charge’ – but it’s really important to engage with your child, but let your child set the agenda. The first thing you’ll hear when you turn off the screens is the cry that they’re bored. But the more children get used to using their imagination to entertain themselves, the easier they will find it. Screen time can be shared time, too. Even sitting playing a computer game with a child can be a great bonding experience, and can help the child to learn more from the game. And sitting watching TV together can help to start up conversations, and to encourage them to watch a greater variety of different types of TV. There’s a saying that goes: ‘Give a man a fish, and you feed him for a day. Teach a man to fish, and you feed him for a lifetime.’ Well, the same applies to play! Children have to be taught how to play, and to develop their own structured, long-lasting projects that will allows them to entertain themselves without needing other forms of stimulation. You might have to sit with them, and support them for a while, as you teach them how to play productively. But what they learn from this process, in terms of life-long skills is every bit – or possibly more – important than what they learn at school. Dr Sam Wass gained a first-class undergraduate degree in Experimental Psychology at Oxford University. He did his PhD at the Centre for Brain and Cognitive Development, Birkbeck. Subsequently he was awarded a British Academy Postdoctoral Fellowship, based at the Medical Research Council Cognition and Brain Sciences Unit in Cambridge, followed by an ESRC Future Research Leaders Fellowship, for which he is currently based at the University of East London He is also a visiting scientist at Cambridge University, as part of the Baby-LINC lab. Sam’s research examines how stress affects concentration and learning capacities during childhood. He works with children being raised in low socio-econoic status backgrounds, as well as children in early stages of developing conditions such as Autism Spectrum disorders and Attention Deficit Hyperactivity Disorder. He has active research collaborations in London (Birkbeck, Institute of Psychiatry), Cambridge (CBU), the Netherlands, the US and Canada, and has received research funding from the MRC, ESRC, NIHR, MQ-charity, Nuffield Foundation, Wellcome Trust (as part of ISSF scheme) and others. In addition, Sam is very active in the public communication of science. He is one of the scientists featured in the multi-award-winning Channel 4 series The Secret Life of 4-, 5- and 6-Year-Olds, for Channel 4 and supported by the Wellcome Trust, for which he is heavily involved in programme development and appears regularly on-screen.